At the same time they provide a better shower experience. SAVE 8-12 LITRES OF WATER PER MINUTE! Energo’s constant flow showers are already reducing shower water consumption by an average of 55-65 percent in thousands of housing companies. Sometimes even more. This is a radical improvement. Whereas old showers consumer an average of 20 litres of water per minute, Energo’s constant flow showers consume just 6-12 litres per minute. The conversion is fast, inexpensive and environmentally friendly – simply change your old shower heads for new constant flow shower heads with the optimal flow according to your building’s water system and your water needs. Our product range also includes sound-insulated constant flow shower heads that are quieter than standard shower heads. This solution eliminates all the shower noises one associates with old buildings and thereby enhances satisfaction among residents who no longer have to listen to their neighbours in the shower. At the same time that water consumption decreases, showers become more pleasurable. Energo’s constant flow shower heads provide a soft and steady flow of water that feels pleasant on your skin. The flow reaches its optimal level quickly and stays the same, even if pressure in the water mains builds up. This solution also prevents excessive flow that can cause water to splash everywhere, at the same time preventing water from being wasted. The system automatically controls consumption so that it remains at the desired level. Customers have been very satisfied with the result, as the amount of water used does not affect the quality of the shower experience. According to research, flow of 10-12 litres per minute provides the most pleasant and enjoyable shower experience. Energo’s constant flow shower heads also regulate the flow in buildings with high-pressure or low-pressure water mains. Our product range is expanding all the time. We offer a wide range of solutions to meet the needs of housing companies, offices, hotels, ships, swimming halls and other applications. This Swiss shower head combines an affordable price with top quality and a stylish design. Flow rates: 8, 10 and 12 litres per minute. 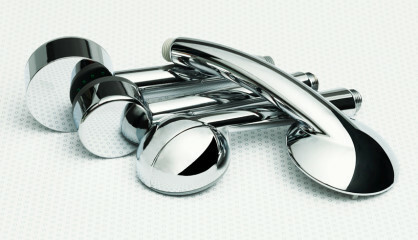 Scandinavian design available in white or chrome. Flow rates: 6, 8, 10, 12 and 14 litres per minute. Traditional design available in a variety of styles. Flow rates: 8, 10 and 12 litres per minute. We also offer a range of overhead showers. Flow rates. 6, 8, 10 and 12 litres per minute. Flow regulators are recommended for high-value properties and historically protected public buildings. 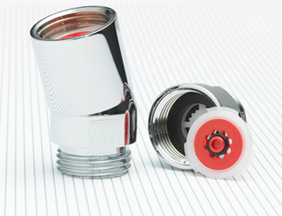 Flow regulators are inserted between the shower head and hose and prevent water from being wasted while eliminating the need to replace expensive shower heads. 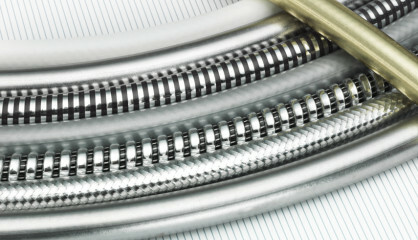 We offer a wide range of articulated hose ends by the world’s leading manufacturers. 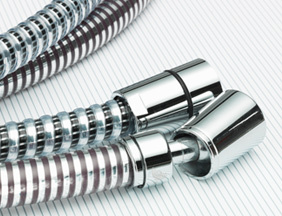 Articulated or freely rotating hose ends reduce wear on the hose and offer a luxury feel. Durable metal design. We offer dozens of alternatives for both high-pressure and low-pressure water systems. We also offer hoses that react to the water temperature and change colour, providing a warning to children, for example, if the water is too hot. With their hydrologic design and optimal materials, our showers resist limescale and other impurities in the water. We use only the highest quality components supplied by the world’s leading manufacturers that have been tailored to Nordic standards and demands. These components can cope with impurities in the water and heavy use in public buildings. 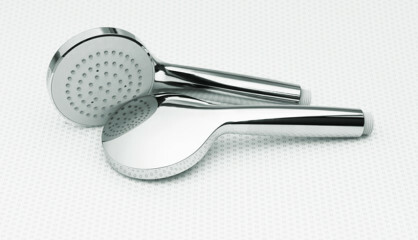 We also import ultramodern design shower heads. We will help you select the most energy efficient and ecological solution. Ecobooster dual function shower heads allow you to switch between high and low pressure with the press of a button. 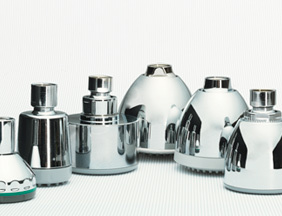 Our product range will further expand in the near future with the introduction of new design shower heads. 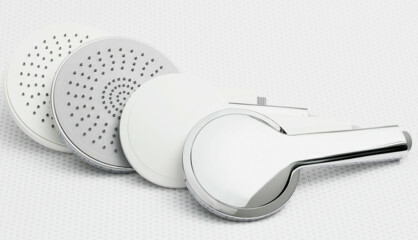 Also coming soon is an anti-twist shower head with three flow rates: normal, massage and pulse. Contact us for more information. We will be happy to help you select the right shower for the right purpose.